Trying to find a good guide for Cinque Terre can be daunting. How do you know what you are getting when you make a booking? Price and value are always the dominating factors. We see many tour companies rushing through Cinque Terre with 30-50 people being herded like cattle and being told that they have 25 minutes to spend in each town. There is no value in that. You will take some pictures and never really know what you were seeing. Cinque Terre is a magical place with vast amounts of history on its shoulders that can still be seen and experienced today. But you need to know what you are looking at. Our tours are personal and that means it is just YOU. One-on-one, or however many are in your group. We will guide you every step of the way. 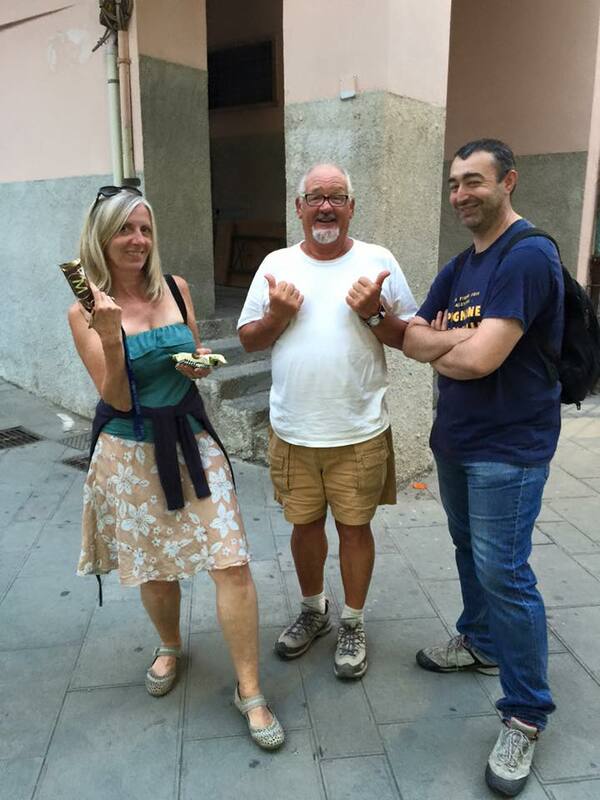 It is no wonder we were voted Best guide in Cinque Terre by our customers. There is a lot to know, not just historical facts and tales but also valuable information about train times, prices, strikes, safety and more. Make sure you you hire the right guide so that you can have an experience of a lifetime. Season Greetings from Cinque Terre! This time of the year has come once again and want to make sure you all get to see Manarola’s Christmas lighting display. For some of you it is your first time and for others it bring back memories of your time in Cinque Terre. It takes many days to transform this hillside into this wonderful lighting display. Maybe not as big as the display in Lyon, France or the Christmas markets of Germany, but to us in little Cinque Terre is a fun time. As always we wish you and your families a wonderful and a safe Holiday. Remember now that all of you have trekked with us that you are now locals. For you who are coming this year, this is what you have to look forward to. Remember to keep it touch and follow us on Facebook, Twitter and Instagram. You will find all sorts of fun things on these sites as we travel around. Also look at our upcoming trip to Kenya, this is a special trek/tour and going out about every month of the year.